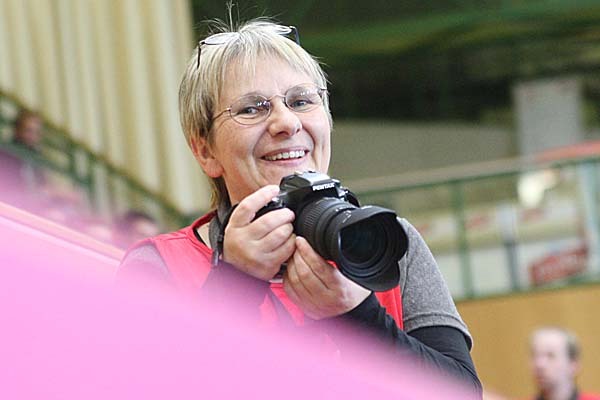 13 years of floorball ... and many other sports ... photography has come to an end. Due to too much pressure and stress at work and many other influences, I already decided to have an enjoyable farewell tour this season. I am just unable to drive this project in a way I like it... and you and Unihockey-Pics.de deserves it. Already during the 2013/14 season, coverages became too infrequent, too unrhythmic... and during the last years I had to cancel so many trips to sports events just because I was mentally and / or physically too exhausted. Time to stop my work now for the time being and to say thanks to all of you - in contrast to the normal apperance of this web project, I decided to write these words in English rather than in German. There are so many people who do not speak my language but deserve a big thank you at this point - hope the German-speaking ones are fine to use their foreign language skills instead :). No all star team, but an MVP? No, I am not a liar and I don't want to rank the people I met, but I thought it would be good to start with the person who I think influenced her teams most, gave the most sportsman spirit and fairness in the rink - and is by the way just a wonderful friend I always enjoy to discuss with - not just about the situation of my beloved Hungarian floorball team: Szilvia has been the true leader of her team, no matter in the national team or at Hammarby or Nykvarn. She is just one of the most impressive characters I ever met. After she left the sports a couple of years ago, I never met somebody like her again. 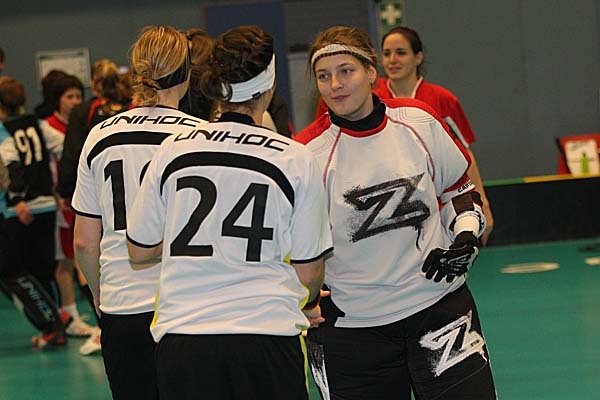 Her amazing spirit started my interest in Hungarian floorball - and lead her team through several tournaments, even in a bad game. Anybody expected these girls not to be part of my final words? Nah, than you definitely do not know me. Since 2007, when I first met this team in the Fredrikshavn WFC, I more and more got fan of these friendly fighters. Even in the toughest time like at a friendly match loss in Germany by 0:12, I would never say anything but that this team is the sports love of my life - and will always be. No matter what is happening in the future, they will have my full friendship, my power and anything I can give them to have a good time out there in the floorball ring. Szeretem, layok :) You are the best! 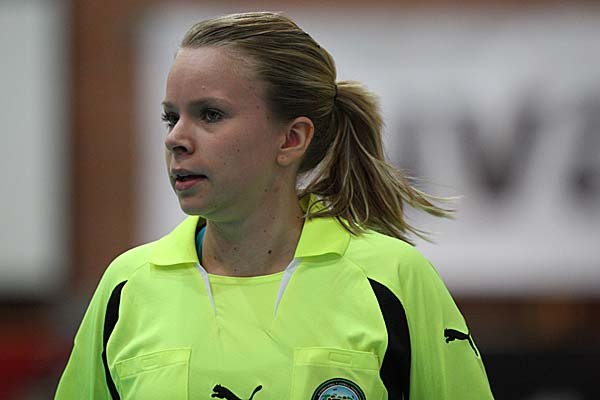 You may argue that I definitely seen better referees than these two girls - I will reply, "Yes, in men's floorball". For women, these two girls amazed me from the very first minute we met in a lower-class match in Sweden. We had a brief chat and afterwards I said, "We will definitely meet again". Less than a year later, I met them at international matches again. I am very often very sad and miss these two Swedes especially when I watch women matches: these two really understood what girls want to play floorball alike. They guided the matches their way. I also loved their communication and leadership skills a lot. Very sad that just Peter, Caroline's husband, is still active on court. Thank you for everything! High professionalism, great sportsmanship - Mark Wolf is still just THE goalie to me. 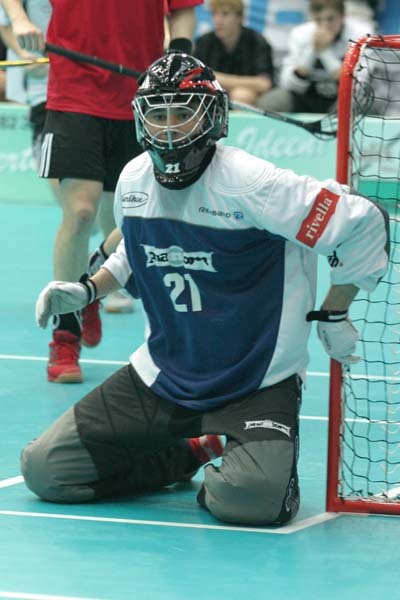 Just saw him playing in the very early Unihockey-Pics.de years - nevertheless, I still remember how much I admire his technique and style at warm up. Tennis is an individual sports - but if there is a team player character in professional tennis - Leander is the guy to be. Just one singles title on the ATP tour, but incredible performances at Davis Cup and in doubles tennis. Very bad that we lost contact a bit, travelling to tennis tournaments is unfortunately quite hard in parallel to another profession. Nevertheless, seeing him in Davis Cup and being part of the initial matches when he crowned Martina Navratilova to another tennis grand slam title are just memorable moments to me... But finally, there is that "Summer of 99" with four matches at Wimbledon (men's doubles and mixed doubles semifinal and final) in one day - will never forget that one as well, my dear! Thanks a lot! Germany's pride. I once said about him, "If he is hungry, he is just going out to the Swedish woods and grabbing a moose with bare hand for dinner". 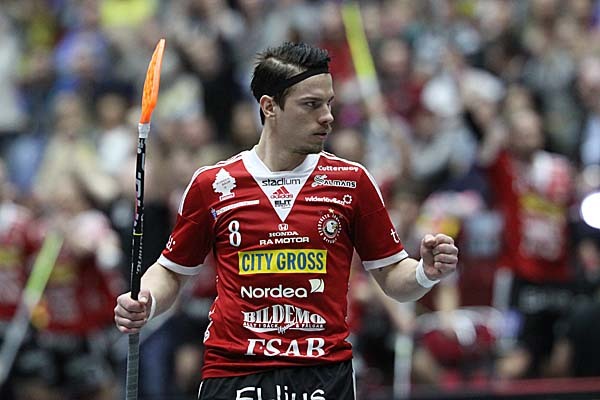 This guy is perfect phsysis, always enjoyable to see the GERMAN guy playing - some Swiss defenders are surely already frightened to play against our German floorball fighter and forward #1 next season! Hope to see some more of your matches, Fredrik! 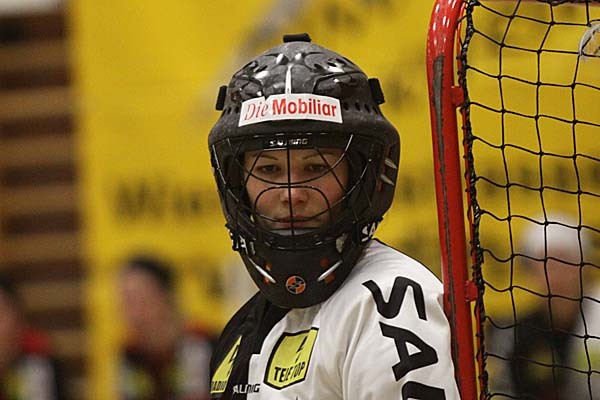 Damn, I really feared this girls while I was supporting the Red Ants Rychenberg in the Swiss Women NLA. Elina and Karoliina means constant threat to the opponent's goal - and they showed it very often in these Red Ants vs. Piranha matches when they played in Switzerland. Just because of that, I always admired the "Cool Kujalas". Nowadays, especially after they transferred to SB-Pro in Finland *smile*, I am just able to admire them... Without any fear. Very friendly people from Finland, one of the big idols in Women Floorball in general... I hope you lead your team to a victory... in the very final match... versus Sweden... In Tampere... But you are golden girls to me anyhow! Kiitos! A very solid defender with very smart play and a very friendly character - when you think about German players in Switzerland, you might initially think about Sandra Dirksen... But Katja is still playing that wonderful role in her team and in the German national squad. She definitely never got sufficient reward for that - maybe also because she missed two World Cups due to injuries. 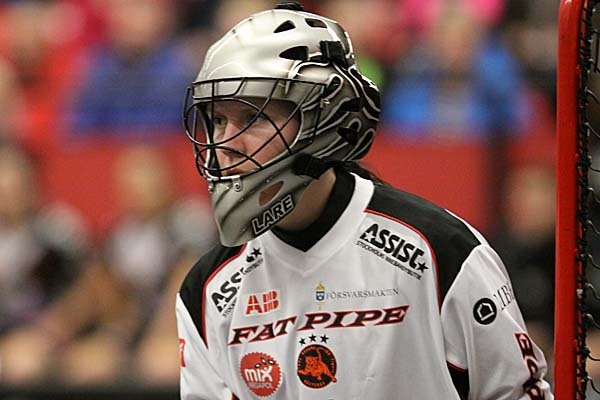 Katja, you are a floorball legend to me! Thanks for all your support! 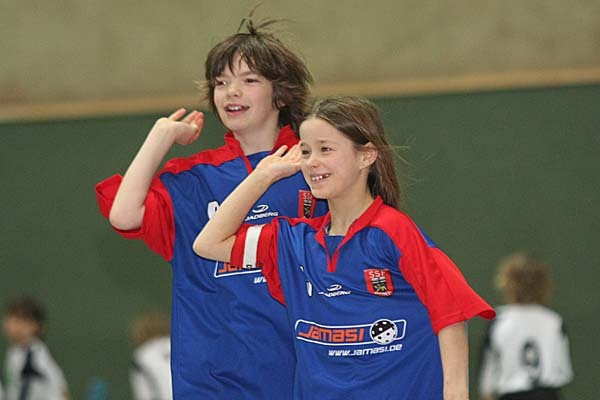 Randi must have been a tiny girl at the age of eight or nine when I first saw her playing in one of my former clubs as a player, sSF Bonn. At these days, she was already extremely remarkable to me, just due to her fighting spirit and her love towards floorball. Nowadays, she is leading her team in the Western Women Division and is one of the youngest German (senior) national team players ever assigned. Randi, if that is one of your targets, I am sure we will see you playing in so many great matches in the future. Be proud of yourself - you are really amazing! "Simon" gave me one of the most memorable moments in 2014: I just landed in London-Heathrow, ready to catch a rental car to Wimbledon for the very final show of my beloved "Rock of Ages" musical. The German Women National Team played that weekend in Wembley against England, sold out, 55.000. On the next baggage conveyor, all the girl have just arrived from Dusseldorf. We just fell into each others arm, though we had not met for more than four years ago. I am very thankful that I was able to follow her at the beginning of her career and support her a bit. We met 2006 the first time, as far as I remember, she was a very young fighter, sometimes slightly naive. Her dream was the World Cup, being part of the German team... But then she caught a serious injury. She fought back, somehow managed to become part of the team - and finally shot the second German goal in the final match vs. Brazil. Nowadays, she is one of the most well-known German soccer players. Thank you Simon for all the wonderful moments with you! Swedish WFCs have always been a bit more "arrogant" than others. 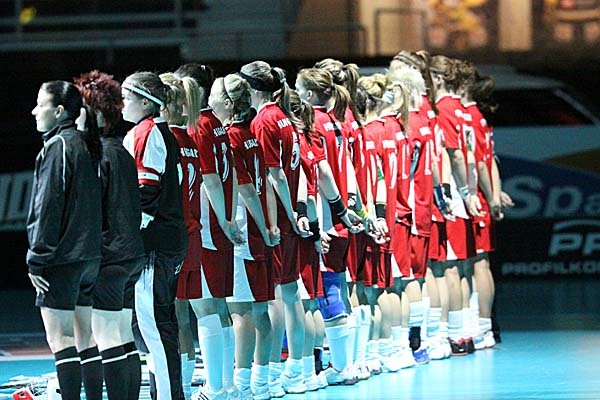 More than that, the WFC ended with another B-Final loss of my Hungarian girls vs. Australia. Nevertheless, this is the WFC I think about most due to its tension. I happened to stay with my Hungarian team as well as the Germans, who were more or less forced by the coaches not to speak with me. The support of my girls was marvellous and some of them had really fun with the situation, I feel. This match was very special to me due to Nicole Vertesi, my wonderful Hungarian friend. It was such a fight to fulfil her dream and bring her to Switzerland - not because of her potential, but of other reasons. Thus, I was more than proud of her that she made it - finally this was the first time I saw her playing in Switzerland - she made a great career there from the Under 21s to the NLA team of Burgdorf. The two longest trips for Unihockey-Pics.de have not been for floorball: while the US Open in Tennis was maybe the largest sports event I ever attended as a journalist, Cleveland was just a little bit more away from home. 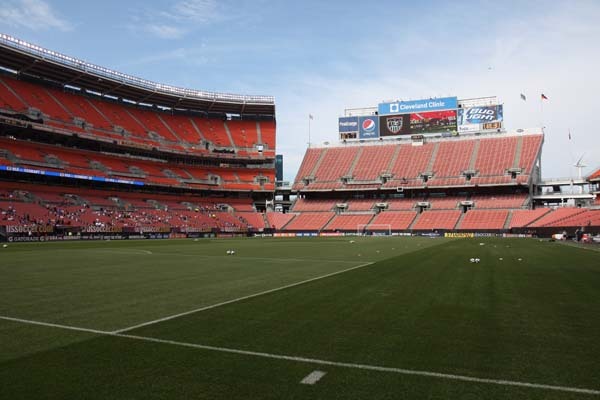 This match in May 2010 was also the end of my women soccer coverage - thus, it has been a very important moment for the website. Though it has now moved back to Stockholm, SM-Finalen is Malmö to me. 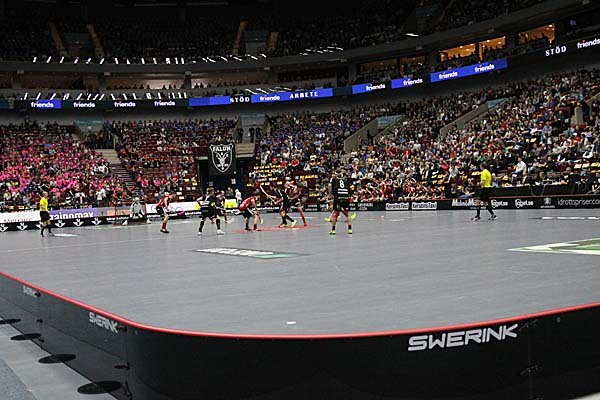 The perfect arena: nice size, fantastic crowds and incredible connection - just a twenty minutes from the Copenhagen airport luggage belt to the floorball rink! I love... and miss this place, though Globen with its very special architecture is already a great (but old...) place. Nicole... My best Hungarian friend, a very strong support of my life and this web project. Born in Dachau and speaking German fluently, she was already playing for the Hungarian team when I met them first in 2007. I cannot even tell everything what she did for me - she is just such a wonderful and friendly person, don't stop believing for your dreams, my dear! Corinne happened to be my contact at Zug United - nowadays, she is just a great friend of mine. Another wonderful heart I was gifted to meet just due to this website. Merci vielmals, meine Liebe - Danke für alles! 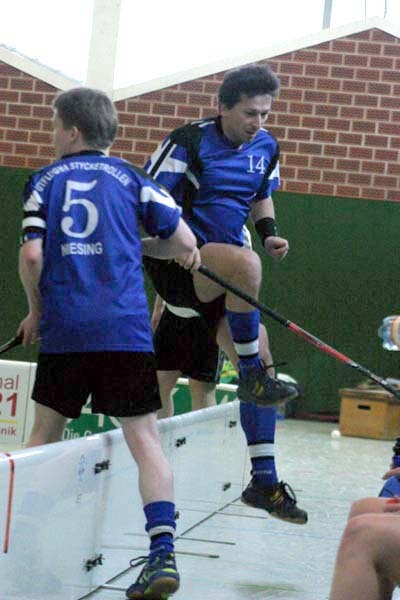 I got to learn Michael as a teammate in the Clausthal Tech Floorball team. He lead me through my first matches, also taught me many important things about refereeing. Nowadays, he is maybe one of the most important "working in background" people in Central European floorball. There is so much stuff he is doing for our sports without getting any respect for it... Moreover, he sometimes had to take too much critics for stuff. "Jesus" (nickname due to his long hair he wore many, many years ago), Danke für Alles! Damian Keller, Reto Voneschen and all the other (positive) floorball freaks have been my friends for such a long time now. We met that often in the floorball pressrooms of the world - I always enjoyed to work with them. It is absolutely remarkable how they turned out their magazine to become that huge - congrats to you... And see you somewhere around! Irene has been both to me, a sports idol and a wonderful friend, especially when I visited the Red Ants Rychenberg in Winterthur more frequently. Nowadays, she is the sports president of the club. I am really glad about all the memories and wonderful moments she gave me. Merci! It was very sad to me to read that Marija was in the news the last weeks due to a small, silly referee mistake (the match had to be replayed from the 90th-something minute with a penalty shot. 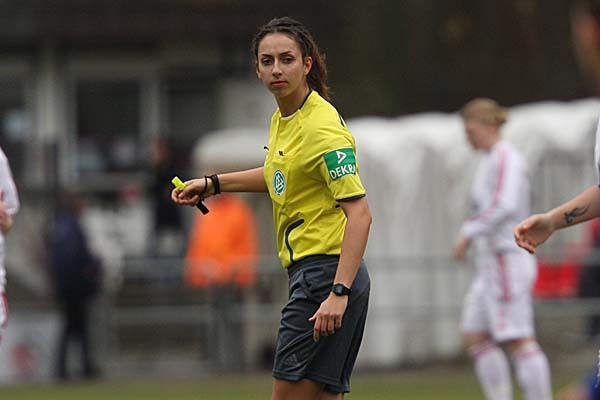 I loved her as a women soccer referee - there are not too many refs around in the Women Soccer Bundesliga with what I would see as refere skills. Don't care too much about that small thing, you are a fantastic ref and a very friendly person as well. Danke! Wow, it is already more than five years ago since I met Lorena the first time. After playing a very active role in Piranha Chur's Under 21s, she took the challenge to play NLA. Though she had to suffer numerous matches without playing or just having some turns in the rink, she never lost her spirit and was part of Piranha's Champion and European Cup. For me, she is just a great friend - on the one hand, you feel sad to have wonderful people like her in your life, which you just cannot see too often - the trip from Cologne to Chur is not too short... On the other hands, it is such a gift to have great friends in so many parts of Europe, friends like her. Her heart is even more sunshine than her smile and I was very, very proud of her that she never gave up. And even in hard and sad times, she always managed to recover from the bad situations. One of the major Finnish clubs. The people there are that friendly and I made very nice contacts there like Laura (and her great father), the Kujalas and Kari Hautamäki, Mira Wickmann... So many more... 1I will definitely always love to come back to one of your matches. Hope to visit Finland again soon :) Kiitos! ... and last but not least: YOU! Sport-live.net - Sportfotografie online - über 150.000 Fotos! This page uses Frames. Please refer to the Sitemap.